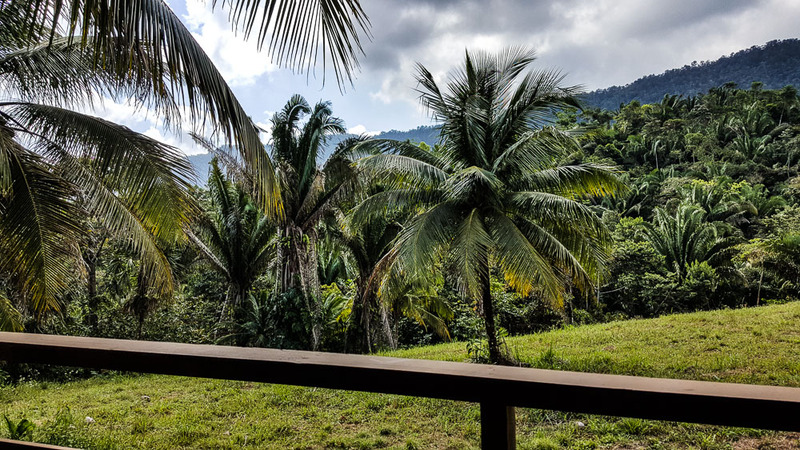 PRICE: $129,000 USD Belize Property Agents is thrilled to offer this exceptional jungle property on the Hummingbird Highway at Mile 27. This 10 acres of jungle is directly adjacent to a new Zipline and Waterfall Rappelling Tourist attraction called Angel Falls Zipline Adventure. The property is accessed by two different roads from either side of the property and has about 450 feet of frontage on the Hummingbird Highway. There is about three acres cleared and nicely maintained with a Mennonite cabin. The cabin measure approximately 14′ by 14′ with a 6′ foot porch and has an open concept with kitchenette and bathroom. The views from anywhere on the property are simply stunning! There are two all-season streams running through the property with crystal clear, cold mountain filtered water. This property could easily accent the adjacent Zipline Adventure property with cabanas to rent or what-have-you. This 10 acres is already subdivided into two 5 acres parcels, but the owner will only sell it as a package. If you’ve been looking for an absolute slice of Paradise on the Hummingbird Highway at the highest point with mountains, then look no further.